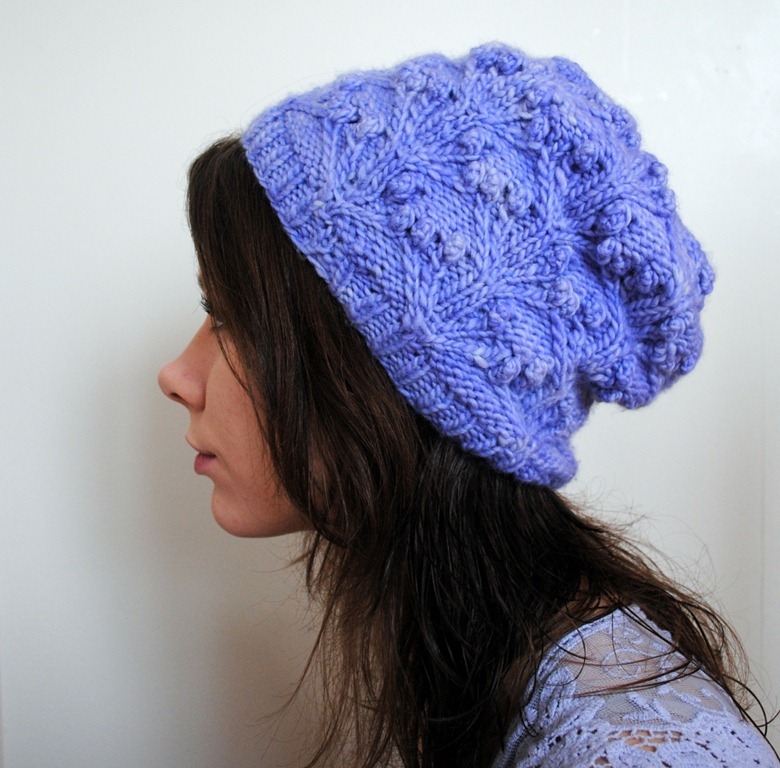 So, I’m joining in on the Knitting and Crochet blog week 2012. Just wanted to let you all know that. Basically for a week we are all posting on pre-determined topics and trying to post everyday for 7 days. I’m hoping to be able to do something for each topic, but life is hectic, so we shall see! It’s definitely a challenge for me, someone who has never blogged 7 days in a row…ever. Today though, we are talking about colour! yess! 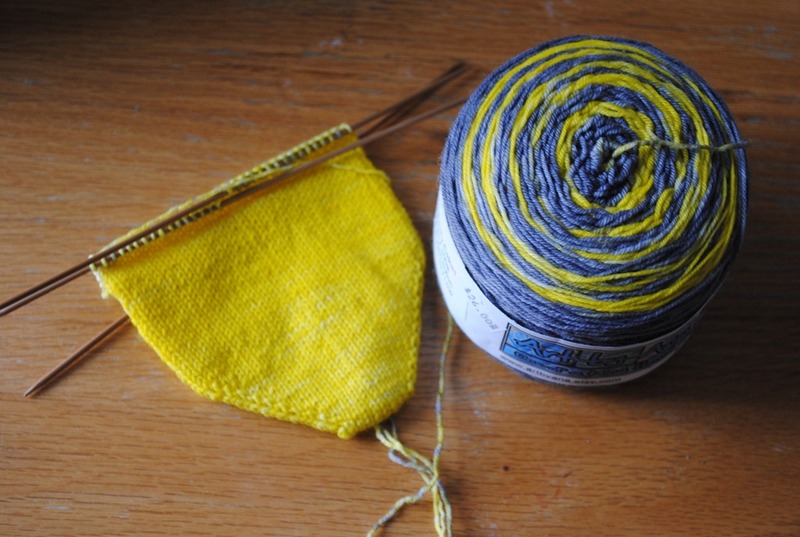 Knitting is one of the things in my life that actually has the most color, period! 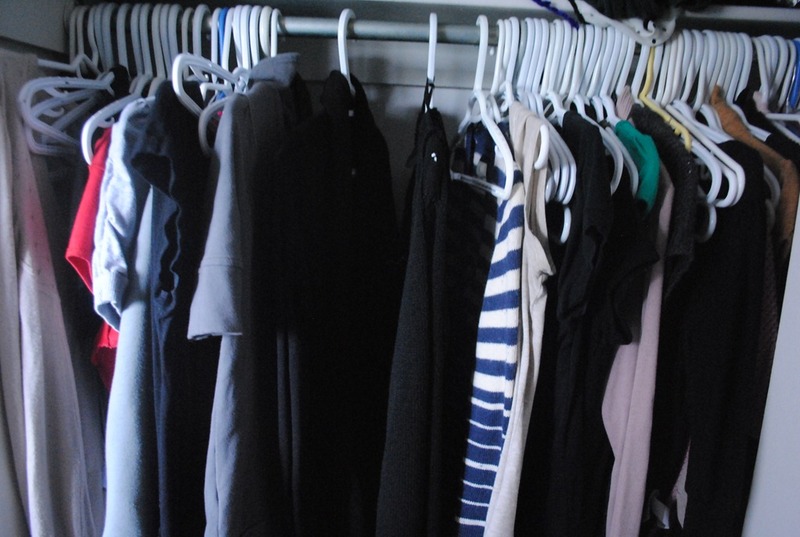 My closet is full of blacks and greys. I use my knitting to inject colour into my wardrobe. And I most definitely go for certain colours for certain things. I admit i need to do laundry so a lot is missing but you can see what I mean. black, black, grey, black, beige, oh green! black. 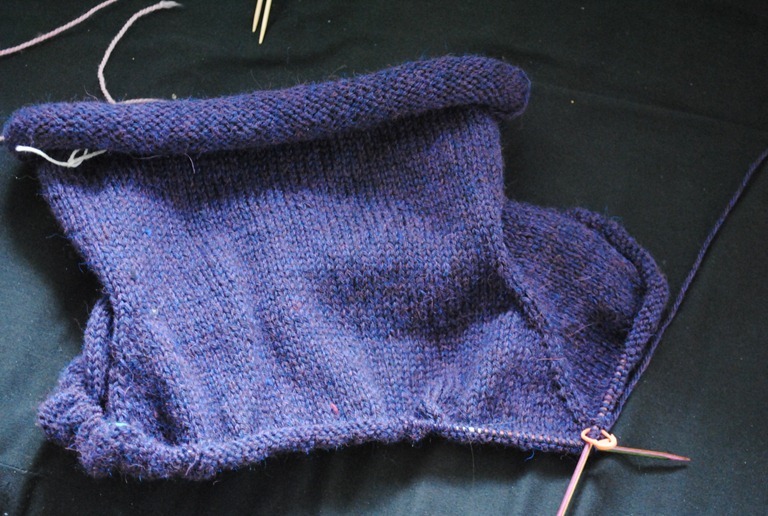 I really like to knit purple things apparently. My plucky feet in well preserved!!! YES! 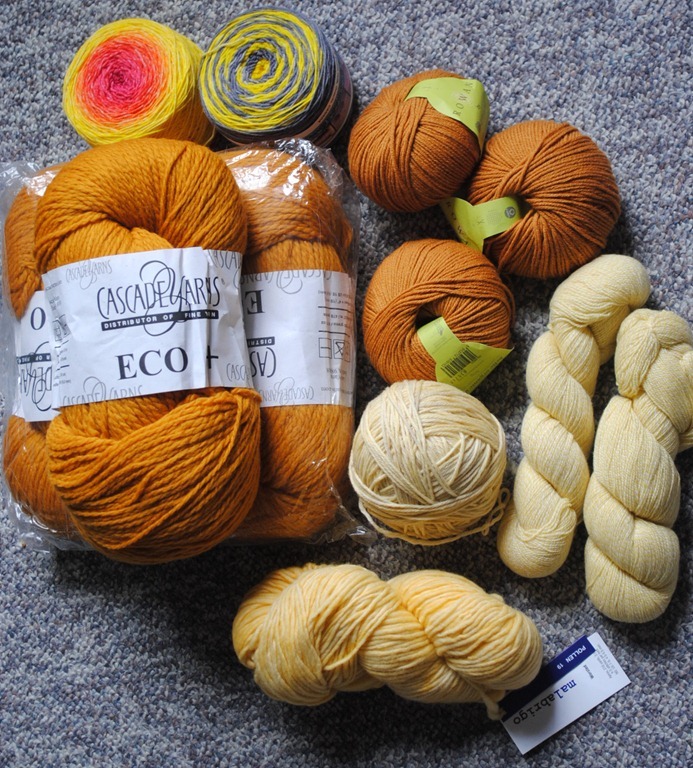 I also really like to buy yarn that is yellow/golden. Check it out. What do we have here…yarn for the wrapped pullover, yarn for a hat, cashmere yarn for bee socks, yarn for gansy socks, yarn for thrummed mittens, yarn for a hitchhiker, and some yarn I don’t know what to do with! This golden yellow is one of those colors i just can’t get enough of. Lighter and darker tones of teal. I love it. 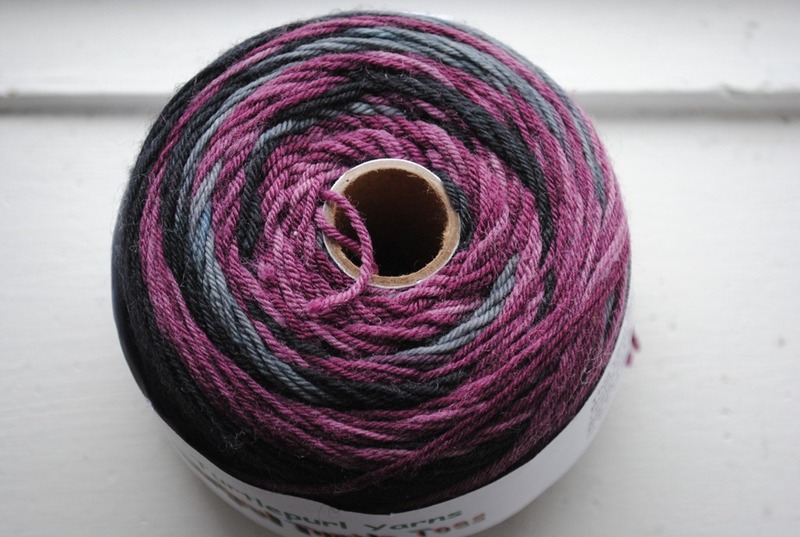 I’m also obsessed with self striping yarns in ANY colour! okay now I am laughing. 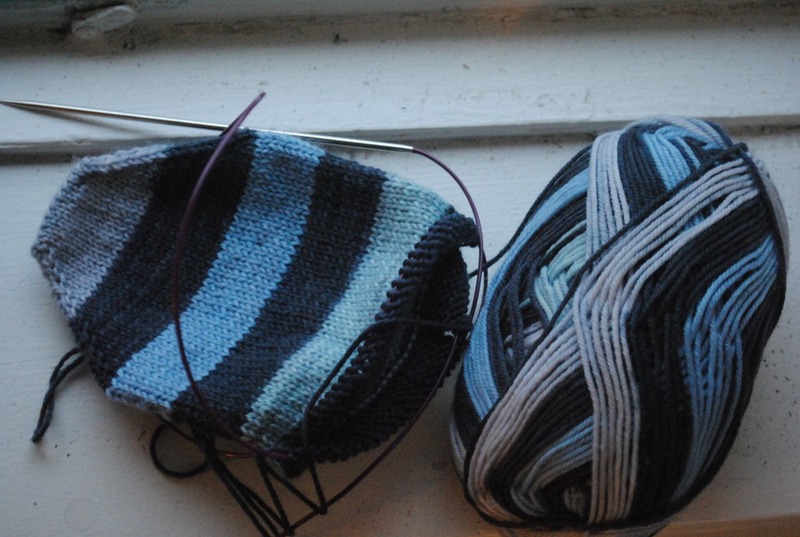 Did you notice a theme to my stripey yarn choices? Yeah, they’re all purple, dark, or yellow. I guess i really do like those colours. Learning so much today!! 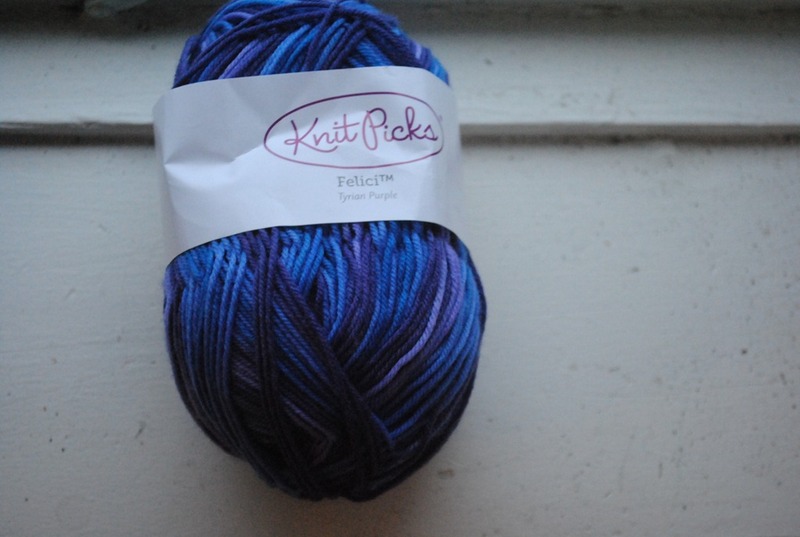 So now, tell me, what are YOUR favourite colours to knit!? Because it’s time for me to go cozy up on my couch with a mother bear…because it has been snowing / raining all day and I have been working! relaxation time begins now.